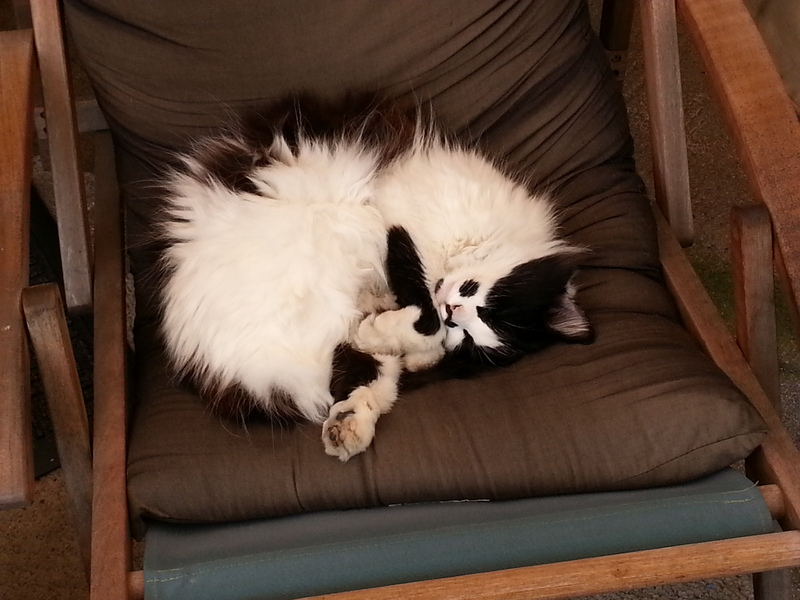 Miss Pris happily napping in T's chair on the patio. What a ridiculously cute ball of floof. I wish I could flop around like that! Toes to nose! Love kitties when they're all round like that.